That name is not known to any of my fellow players in my husbands Cthulhu campaign. Instead she is Agent Sonar. 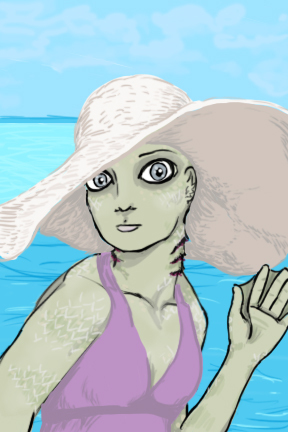 But hey, even a half-human-deep one hybrid needs a vacation now and then. Just a quick painting in photoshop. Wanted to play with getting a scaled look to her skin. I am slowly discovering the use of layers and more layers to get an overall effect. Plus it makes going back and changing her freckles an easy thing when they are not drawn in the same layer as her camouflage stripes. Here is a previous painting I did for my entry into the campaign. 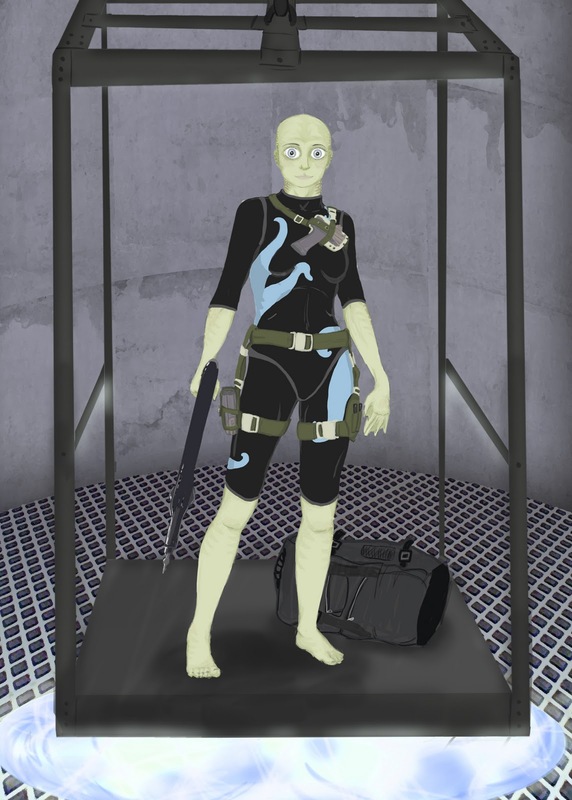 Agent Sonar serves as a diving instructor to the other players for now. Cool things to note: Because she is assigned to most missions in water, she has special weapons as a result: two H&K P11 underwater pistols and a modified spear gun. 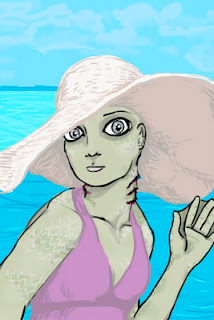 She has webbed hands and toes, the ability to withstand pressure to a certain depth, the ability to breathe both water and air, increased hearing underwater and bulgey-fish eyes with nictating membranes. Fun!